Period and modern homes in uphill Lincoln needed! There is a shortage of bungalows for sale in the region! We offer a depth of professional sales and marketing to our clients that few can rival. We take our Lincolnshire’s homes to a local, regional and national market of buyers! Did you know that London is the top town/city location for visitors to our website?! Our access into this important market of buyers is vital to homes in Lincolnshire. Let us take your home down to the team in London.. See more here. Our Lincoln office is the focus for providing homes from right across Lincolnshire with strong regional marketing. The office provides an excellent showcase for all our clients properties with its hi-spec LED window display units and large 40 inch monitors for showing our stunning aerial property videos. See more here. We seek to provide our clients with a service that exhibits the high standard of professionalism and integrity, that they quite rightly expect from members of the Royal Institute of Chartered Surveyors (RICS) and the National Association of Estate Agents (NAEA). We spend thousands of pounds every year, ensuring that our clients’ properties receive maximum exposure across a wide variety of media, ranging from the local Lincolnshire newspapers and magazines through to the Saturday Telegraph, Sunday Times, Horse & Hounds and yet more. We are regularly recommended for the quality of our sales brochures in terms of content and production quality and how we also use them online. Take for granted an excellent range of photography, floor plans, site plans and editorial content. You can visit our office and build the sales brochure with our secretary so that it’s just as you want it. Quality presentation surprisingly – does not cost the earth! There is photography and then there’s ‘professional’ photography! We can provide access to a full professional property photography and an RICS Compliant floor plan service available where quality life style presentation is a must. Does this service cost the earth? No! Quality photography can help sell a home however big or small it is. Contact the sales team at any of the offices for more information. That’s how it has been independently described and it has been entered for a number of awards. Content to keep buyers coming back again and again with strong image led photography and video presentation, excellent search system, embeded social media and so much more. Uniquely offering our sellers’ access to ‘Buyer Detect’ – telling us who has viewed and downloaded your home’s sales brochure from our website so that we can then contact them for their response!! No other agent offers this service in Lincolnshire. An outstanding service unique to RB&Co – A stunning ‘fly round video’ presentation of your home, its grounds and location, as well as quality digital aerial photographs. Promoted online and in press adverts. Offering buyers’ a dramatic, eye catching and visually different perspective of your home. Videos presented on HD Vimeo and YouTube Channels. See what all the excitement is about here! This service can provide a more personal presentation of both the interior and exterior of your home, so as to demonstrate to buyers it's lifestyle appeal. The video is shot and edited by a professional team who also carry out work for the BBC and other media organisations. See an example here. This is a sales promotion offering considerable online impact! Did you know that Rightmove.co.uk is the 7th most visited UK website by traffic volume*, 29 places above its nearest property rival, Zoopla*! They receive more visitors even than the BBC homepage. Let us show you how we incentivise buyers to select your home first from out of the pack. Source: Experian Hitwise Feb 2014. Keep up with news and views about the housing market, note exclusive sale fees promotions; see the latest Early Bird instructions before they go on Rightmove.co.uk. Have your home presented to over 800 subscribers, and more. Register at the bottom of this page for your regular online copy. Proven to incentivise more buyers to select your home online! Providing an all-round view of your home inside and out. This is the real deal – don’t accept poor imitations! See more here. 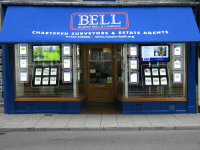 Professional estate agency today means the integration of a range of Social Media into all elements of our service. Follow us on Twitter @robertbellandco, Facebook, LinkedIn, YouTube and Vimeo and see your home and others featured, the latest market news, information about our services and more. We actively seek out good PR editorial coverage in the leading local newspapers/magazines for our clients. Our company’s national PR activities are run though the Mayfair Office in London. 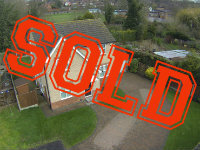 In the last few years we have proven to be very successful in obtaining free national promotion for our clients homes. This has included exposure in national newspapers/periodicals, as well as air time on the BBC and Channel 4. An effective promotion for catching the attention of and encouraging motivated buyer’s to just come and have a look – not the nosey parker’s licence for an interesting day out! See here for more information. This is not a turnkey exercise – but a sales presentation of your home. We will advise on preparing your home and provide you with the do's and don’ts of conducting a viewing, if you prefer to conduct them yourself. Early Bird – Catches a Home! Buyer’s know that if they want to see our latest new instructions first, before they go live in front of thousands on a portal such as Rightmove.co.uk, then they need to go straight to our Early Bird page and follow us on Twitter. 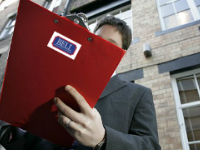 We have a ‘large’ anxious mailing list of buyers on the hunt for a home – it could be yours! 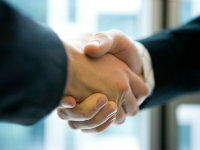 Give our negotiators a call and see who they have available for your home! We provide our buyers with texting/email and postal property mailing and registration. You will have a senior negotiator personally allotted to you to manage the day to day marketing of your home – it’s nice to know who to talk to! Would you like them to come and see your home before it comes to the market? If yes…, then let’s get it arranged! Struggling to find that next property to buy? 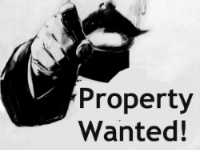 As our client’s you can register your property requirements on our clients Property Wanted Page for free for other seller’s attention. Don’t be surprised if there’s a result! Look here and see what some of these buyers are searching for. We can advise you professionally on what is the right method of sale needed to achieve the very best sale price for your property. We are a practice of very experienced Auctioneers. We have long standing professionally trained valuers who possess an intimate knowledge of your market, so they can advise you on the right approach to obtaining the best possible sale price within the timescale your require for your home. We have RICS Registered Valuers available – the highest professional qualification for property valuation worldwide. We are: RICS Surveyors and Valuers; one of the largest Residential Lettings and Management Agents in Lincolnshire; Land Agents and Farm Business Advisers; Auctioneers of property, antiques and household chattels; Commercial property agents and yet more. Some of these services could prove vital to you when selling and looking ahead to buying a new home. We are there to help you. We offer a depth of professional property marketing that few if any can match and it does not need to cost the earth. We believe in tailoring our service and fees around the needs of the client and property in terms of the marketing agreed and required.